Connect to your UwaterK7 PLL FM Radio via Twist & Lock jack for Charging. 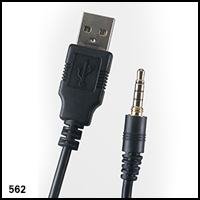 USB plug is compatible with any standard Computer/Charger USB connection. Amazing! You are getting better and better at this. This product is having amazing quality.